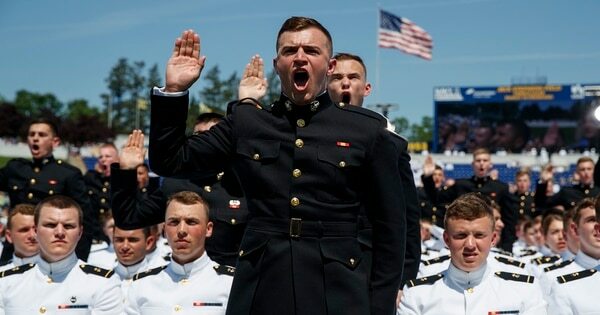 Trump drew a mixed response as he spoke to 1,042 newly commissioned ensigns and second lieutenants, drawing applause and silence at times as he emphasized his efforts to boost federal defense spending. 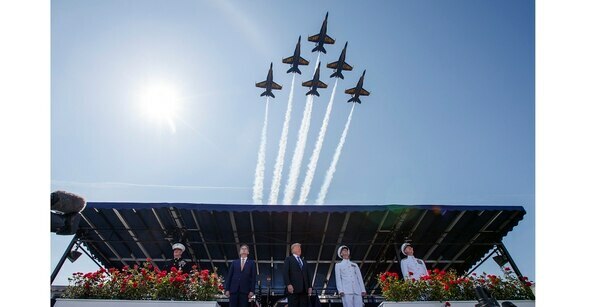 “We know that the best way to prevent war is to be fully prepared for war, and hopefully we never have to use all of this beautiful new, powerful new equipment,” Trump said. 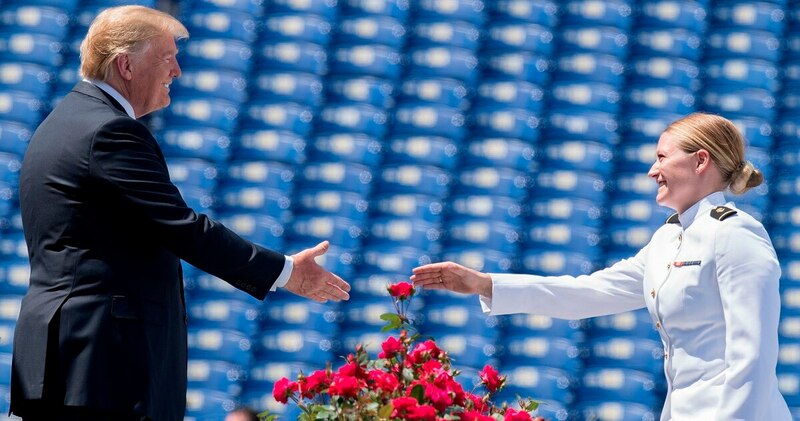 At the conclusion of his remarks, Trump said that he planned to remain at the graduation to shake each graduate’s hand. This marked Trump’s first time speaking to the academy’s graduating class. Last year, Trump addressed the Coast Guard Academy. Service members have received annual pay raises for decades. Your pay rate, your raise ... and what could be in store for next year. Trump also stated that the Navy would “very soon ... get to 355 beautiful ships,” though forecasts don’t call for that number to be reached until the 2050s.